What Comes Next? - Children learn to sequence by comparing pictures. Children cut apart the chick pictures and place them in order. Remove some of the chicks for younger children and use all of them for older children. 1. Sight Words - You can also add words to the chicks to spell out a sentence or review sight words. 2. Alphabetizing - Place the chicks in order and then write words on the chicks in alphabetical order. Mix them up and have your children place them in order. 3. Compare and Contrast - Show your children two pictures. Ask them what is the same and what is different. 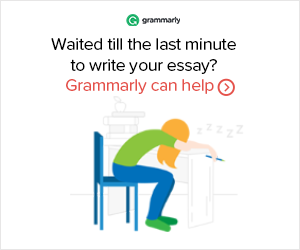 Ask them which one comes first. Number the pictures or use ordinal numbers. 4. Writing Activity - Have your children place the pictures in order and glue them to a book, and then write a story describing the pictures. Instant Download $2.00 - Includes one page with all 12 sequence pictures and 5 pages of 4-inch pictures. This activity is a great way to introduce children to two common farm animals, the sheep and goat. Although they look a lot alike, they have some very unique characteristics. Look up sheep and goats on the Internet with your children and read about what makes them different. When you are done print out the activity sheet and make the sheep and goat clothespin figures. You can also have your children write things about the animals on the sides of the paper to help them remember what they have learned. 1. Before class print out the barn pattern and the sheep and goat patterns. 2. 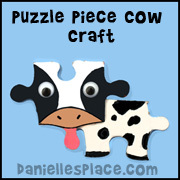 In class have your children color the picture and and then glue craft sticks that have been cut in half to the barn. 3. Have your children cut out the sheep and goat pictures and glue them to the side of clothespins. 4. To make the heads cut the ends off the jumbo crafts sticks and glue on the top of the head pattern, and draw on eyes, a mouth and a nose. 5. Have your children cut grass and leaves from green construction paper and glue them to the sheet on the appropriate side. 1. Cut your box so that it is no higher than your craft sticks. Cut a door out of one side of the box leaving the door attached at the side. Fold the door open. 2. Glue craft sticks to the box making sure that you will be able to open the door. Leave a small space between the craft sticks at the fold of the box. 3. To make the door stand out from the rest of the barn glue craft sticks in an "X" shape and then glue two mini craft sticks at the top and bottom of the door (See picture). 4. You can leave the barn the natural wood color or paint it with acrylic paint. Reading - The simple text, large words, and enticing pictures will keep your children interested in reading this book. Art - Study the craft stick barn in the pictures and have your children make their own barn. Ask them what they think the animals might eat. Have them place hay, grass, etc. in the barn for the animals. 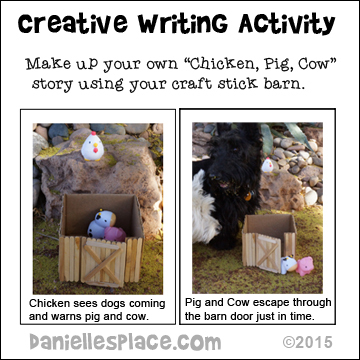 Make up your own story using your craft stick barn, toy animals, and whatever you might have. Note: If you don't have craft sticks, you can make a barn out of a cardboard box. Encourage your children to make fences, silos, and other things they might see on a farm. Have your child reenact their own story and take pictures as he reenacts the story. If you have a pet, be sure to include your pet in the story. 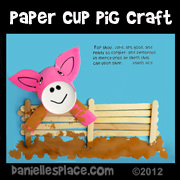 Print out and glue the pictures to book pages, and then help your child write a story that goes along with the pictures. Chicken, Pig, Cow love their cozy barn except when it rains dog droll. Even though they are quite content in the barn, they decide they want to explore beyond their little home. Unaware of the hazards, Pig and Chicken manage to escape leaving Cow all by himself until Dog knocks over the barn sending Cow flying across the room. Can Chicken and Pig save Cow from the drooly, snorting dog? 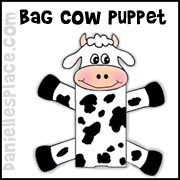 Children will love learning how the animals work together to save Cow.